Although Ketosis has been sighted as an unhealthy metabolic state by many health advocates, it’s actually a normal metabolic process that is now showing great promise in providing several major health benefits. During ketosis, your body converts fat into compounds known as ketone bodies. These ketone bodies are then used by the body as its main energy source. However, for those who may be eager to try to take their body into a state of ketosis it can undoubtedly take some planning and work. And to do it healthfully, it’s not just as simple as cutting back on your carbohydrate intake. Your body stores glucose from the carbohydrates you ingest in your liver and muscles in the form of glycogen. When your carb intake is very low, glycogen stores are reduced and levels of the hormone insulin rapidly decline. This allows fatty acids to be released from fat stores in your body. And although the level of carb restriction needed to induce ketosis is somewhat individualized most people will do fine keeping their carb intake between 20g and 40g per day. Unlike most fats, coconut oil contains what is known as Medium Chain Triglycerides (MCTs). MCTs are rapidly absorbed by the body and taken directly to the liver, where they can be used as immediate energy or converted into ketones. MCTs have been used to induce ketosis in epileptic children without restricting carbohydrates as drastically as the classic ketogenic diet. When adding coconut oil to your diet, it’s a good idea to do so slowly to minimize digestive side effects like possible stomach cramping or diarrhea. Start with one teaspoon per day and work up to two to three tablespoons daily over the course of a week or two. When you exercise, you deplete your body of its glycogen stores. Normally, these are replenished when you eat carbohydrate based foods, which are broken down into glucose and then converted to glycogen. However, if your carbohydrate intake is minimized, glycogen stores dramatically drop and remain low. In response, your liver increases its production of ketones, which can be used as an alternate fuel source for your muscles. A ketogenic diet not only minimizes carbs, but also increases your need for fat, so consuming plenty of healthy fat is imperative to helping reach ketosis. In fact, ketogenic diets for weight loss, metabolic health and exercise performance usually provide between 60 to 80 percent of calories from fat. However, because fat makes up such a large percentage of a ketogenic diet it’s important to focus on choosing high quality sources. These include fats such as olive oil, avocado oil, coconut oil, butter, lard and tallow. Another technique to getting into ketosis is to go without eating for several hours. In fact, many healthy people actually end up going into mild state ketosis between dinner and breakfast as blood sugars drop into a hypoglycemic range. Additionally, the fat fasting technique is another ketone boosting approach that mimics the effects of fasting. This approach involves consuming about 1,000 calories per day, 85 to 90 percent of which come from fat. This combination of low calorie and very high fat intake has been said to help achieve ketosis quicker. However, because a “fat fast” is so low in protein and calories, it should only be followed for a maximum of three to five days in an effort to prevent any excessive loss in lean muscle tissue. Achieving ketosis requires an adequate amount of protein intake. 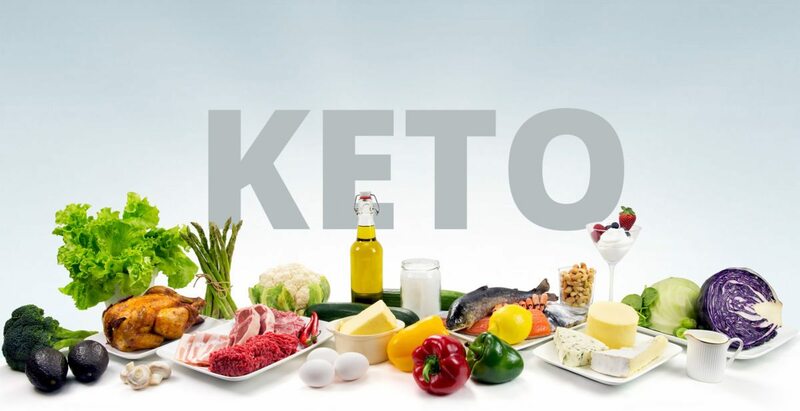 And although a classic ketogenic diet used in epilepsy patients is restricted in both carbs and protein to maximize ketone levels, for most people, cutting back on protein to increase ketone production isn’t a healthy practice. Second, protein intake should be high enough to maintain lean muscle tissue when carb intake is low, especially during weight loss. To calculate your protein needs on a ketogenic diet, multiply your ideal body weight in pounds by 0.55 to 0.77. For example, if your ideal body weight is 150 pounds, your protein intake should be 82 to 115 grams respectively. Like many things in nutrition, achieving and maintaining a state of ketosis is highly individualized. Therefore, it can be helpful to test your ketone levels to ensure you’re achieving your goals. The three types of ketones can be measured in your breath, blood or urine. Ketone urine strips are easy to use and fairly inexpensive. Although their accuracy in long term use has been questioned, they should initially provide confirmation that you are in a state of ketosis. So, using one or more of the methods outlined here can help you determine whether you’re in a state of ketosis or if you need to make any dietary adjustments in order to help get you into ketosis.